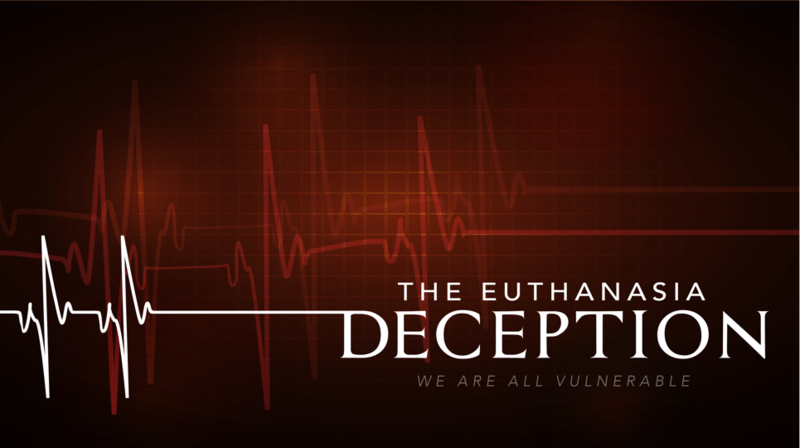 CBC News Winnipeg reporter, Marianne Klowak published an interview with Kevin Dunn the co-producer of the Euthanasia Deception documentary. Dunn is in Winnipeg to attend two screenings of the Euthanasia Deception documentary. 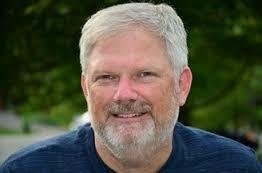 Kevin Dunn went to Belgium, where assisted dying has been legal for 15 years. He wants Canadians to understand the full ramifications of what is means to say 'yes' to assisted dying. In the documentary, medical and legal experts say there were tough stringent rules when Belgium first introduced the law but years later, they say more people are asking for assisted death and obtaining it for non-terminal illnesses. Dunn interviewed a university professor who said his mother was depressed, not terminally ill and was granted an assisted death without his knowledge. A father, Dunn also interviewed, said he was asked by a stranger on the street why he didn't opt for assisted death for his severely disabled daughter. Dunn pointed out people under the age of 18 can apply for assisted death in Belgium with the consent of their parents. Dunn says while the media has done an adequate job in documenting stories about people who opt to end their life, he says more homework has to be done on what is happening in other countries that have legalized assisted dying. Dunn, a former Winnipegger, who now lives in Ontario, has been showing his film The Euthanasia Deception around the world and has had more than 200 requests for interviews. Dunn says since the documentary has been released, inquiries have been coming in from New Zealand, Australia Belgium ,Canada and the USA. Movie theaters, including one in Toronto, have requested screenings. 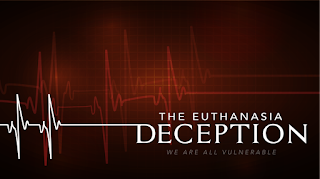 Almost 750 copies of the Euthanasia Deception documentary have been sold. 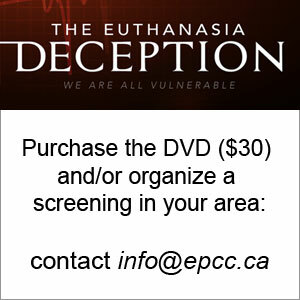 Purchase the Euthanasia Deception documentary for: $30 for 1 DVD, $100 for 4 DVD's or $200 for 10 DVD's (purchase information). 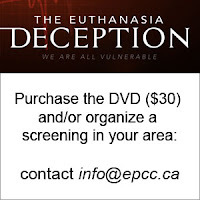 You can order the documentary by contacting the Euthanasia Prevention Coalition at: 1-877-439-3348 or email: info@epcc.ca or by downloading it at: www.vulnerablefilm.com (download link). People completely ignore the spiritual ramifications of ending their lives before God wants them. Some people reconcile with God at the last minute. I saw how important those last few days of natural life can be. They can make all the difference. Failure to address the spiritual issues means no informed consent.